The 1st year of a baby’s life brings with it tremendous growth and change. Each step is unique and fast. They change quickly from a newborn into a baby, develop personalities, and grow exponentially. They reach so many milestones within this 1st year; they smile for the first time, learn to roll over for the first time, sit for the first time, crawl for the fist time, stand for the first time, and sometimes even walk for the first time. They evolve from the tiny, precious cargo you delivered into this world into the person you will raise to be an outstanding human being. I love absolutely everything about this 1st year, and I love capturing these milestones and their developing personalities. The chunky thighs, the glistening innocent eyes, the pudgy, now functioning hands, the hair they grow…it all makes these photographs so special and captures these memories for you to look back on fondly. Be sure to book your baby basics 1st year photo sessions in advance. As a CT baby photographer, I have been in business since 2006. Milestones sessions man be done as many times as you like throughout the 1st year, and typically culminate with a 1st birthday portrait session or cake smash session. I have clients who book 3, 6, 9 and 12 month sessions, and others who book 4, 8 and 12 month sessions. The nice thing about these sessions is that they are eligible for the Fiona Johnson Photography Baby Plan, which offers discounts on multiple sessions and a storyboard collage at the end of the year using photos from each session. See below for more information on the Fiona Johnson Photography Baby Plan. All Baby Basics sessions are done on weekday mornings in the comfort of your own home. I pack my whole portable studio into my car, and I come to you! That’s right, you get stay in the comfort of your own home and avoid taking the baby out. I bring lots of props, hats, headbands and backdrops, and if you have something personal you would like to incorporate, I am more than happy to do so. Expect your newborn session to last approximately 30 minutes. Custom photography is an investment that will be valued throughout your lifetime and beyond. Fiona accepts a limited number of Baby Basics session bookings per month in order to ensure the highest quality attention and service to your newborn session. Payments plans available. A Baby Basics Session is a 30 minutes session done in the comfort of your own home. Baby Basics sessions are for the baby only. After your session, you can choose an in-person image reveal and ordering appointment in your home, at which time you will be able to see printed proofs of no less than 10-12 custom edited images. You will also have the opportunity to see and feel the products and image display options offered. Alternately, you can choose to receive access to an online gallery with no less than 10-12 custom edited images for viewing and ordering. All prints, products and digital files are sold separately via collections or a la carte. There is a minimum order requirement of $350 with each session. A Signature Session (or Cake Smash) at 1 year old. A Signature or Cake Smash session is a full hour long session also done in the comfort of your home or a local outdoor location. For a cake smash session, Fiona will work with you to come up with a theme/look for your set. You provide the cake and Fiona provides all the props. A Signature session is $275, and all prints, products and digital files are sold separately through Fiona Johnson Photography. If you are interested in joining the FJP Baby Plan, please call me at 203-214-9117 or email me at info@fionajohnsonphotography.com. Fiona Johnson Photography uses only the highest quality professional photography labs for all of your prints and products. My goal is to provide the highest quality experience as your ct baby photographer. I pride myself on careful and detailed editing, fast turnaround times, and excellent customer service. For this reason, I accept a limited number of newborn session bookings per month. 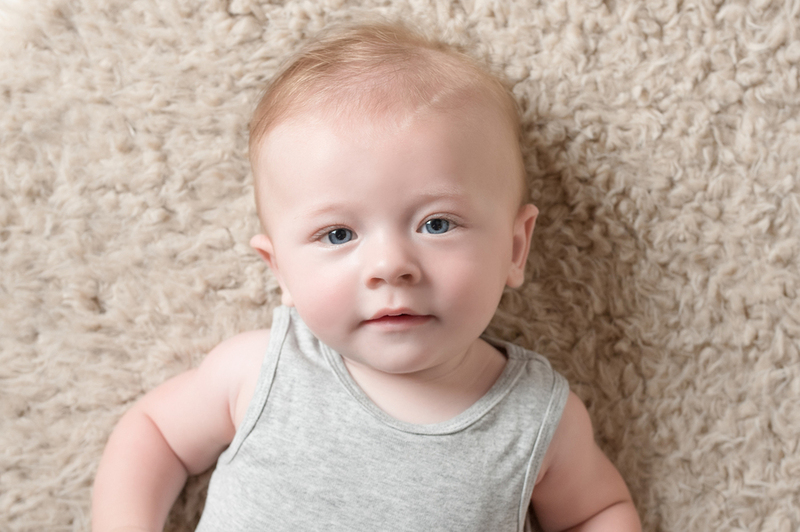 Please book your baby basics sessions in advance – info@fionajohnsonphotgraphy.com or 203-214-9117. Fiona Johnson Photography | CT newborn, maternity, children's and family photogrpaher serving all of Connecticut|ProPhoto theme | Designed by That's Kinda Cool!